Tying the bundles of cane. 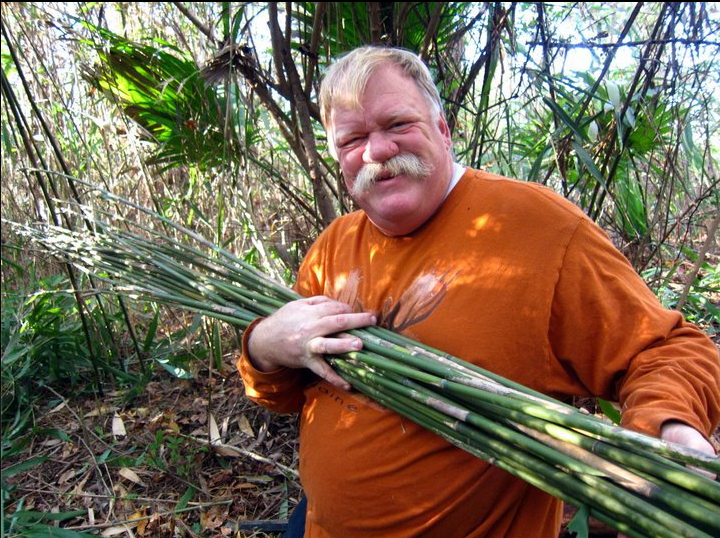 Cutting cane on Gardenia Island and Tortuga Island is the high point of the year for me because it is an escape from the torture of Arctic air that we experience this time of the year up here in the snow belt of Upstate New York. It almost seems like spring time when we step onto our favorite island sanctuaries, where bamboo grows like giant stalks of grass waving in the soft warm winds of the Okeefenokee Swamp. The bamboo grows strong and straight in those parts and makes outstanding dart shafts that fly like the Thunderbird. It takes a lot of hard and careful work to harvest, season, heat treat and straighten these shafts but the effort is worth it. It is always kind of a downer as we travel north through Pennsylvania on our way back and start seeing the snow again. Oh well, it’s back to winter. Look Forward To Spring! 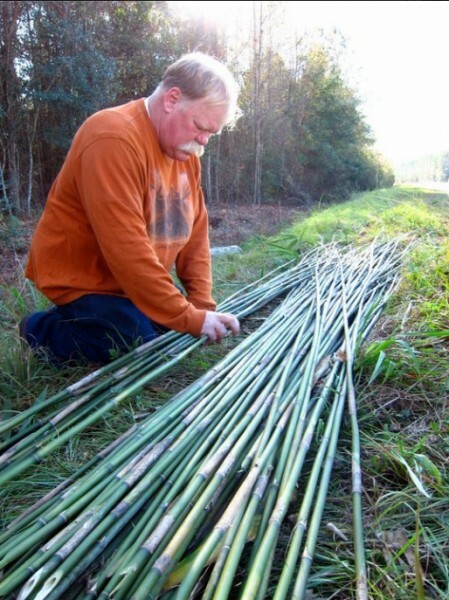 Think Atlatl Fishing! Okay so it’s snowy and cold in a lot of places but we can dream of what awaits us (or if you live in a warmer climate, get ready for an adventure)! We’re already getting seed catalogs in the mail so think spring! Fishing with atlatls and harpoons is exciting and fun. 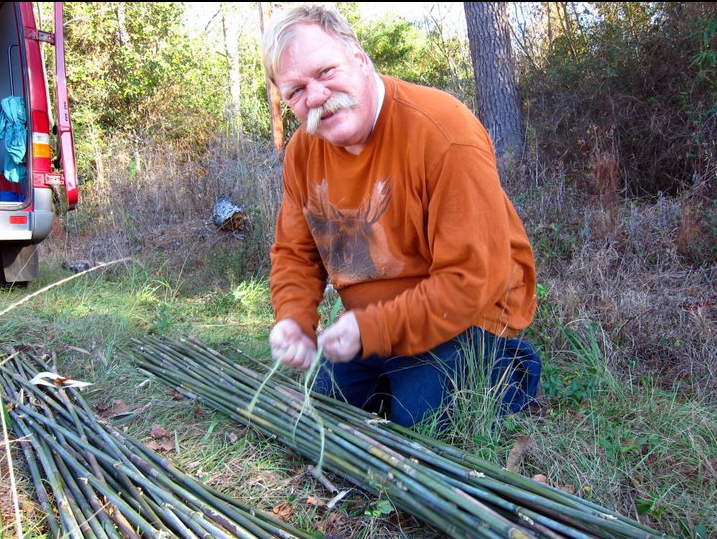 It’s one of the most satisfying uses of an atlatl even if you don’t get anything. We and our customers have experienced atlatl harpoon fishing in the Atlantic and Pacific Oceans, on lakes in Kentucky and New York, Michigan, Florida and Michigan. Thunderbird Atlatl’s harpoons have proven themselves over and over again. Bob Berg with a blue fish caught with a Wyalusing atlatl and a Thunderbird Atlatl harpoon. 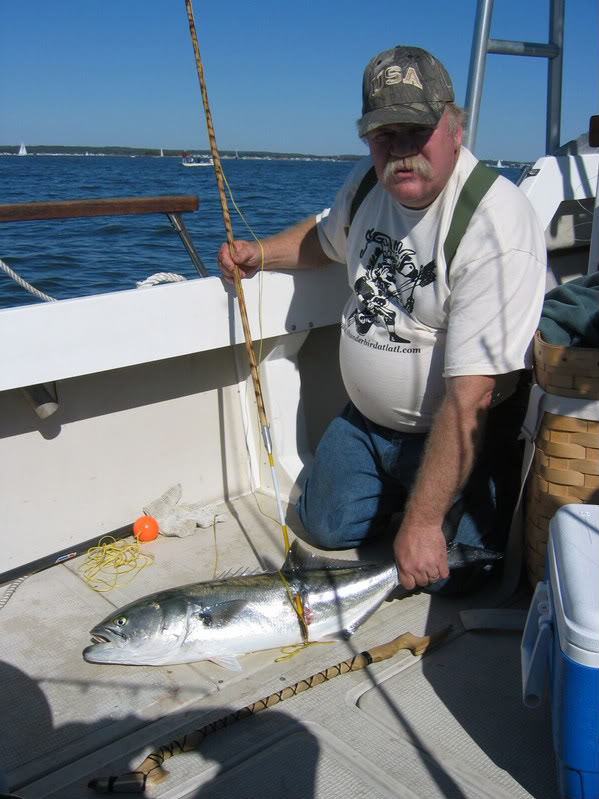 Bob was fishing in Long Island Sound off the Connecticut coast with Gary Nolf and Scott Van Arsdale. 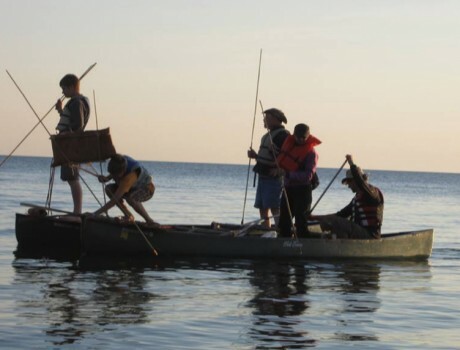 Last July just off of Drummond Island in Lake Huron, Michigan, a group of us spent an enjoyable day and night making our equipment and preparing for atlatl fishing. We fastened two canoes together to make a pontoon so people could stand up in the boat safely so they could see into the water to shoot fish. 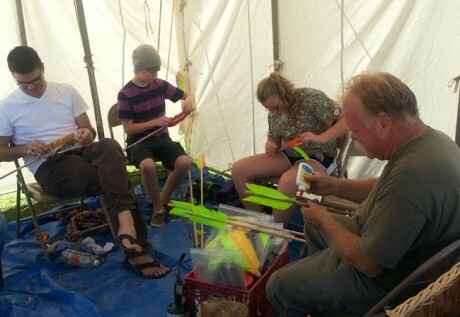 This was all part of the Great Lakes Traditional Arts Gathering which will take place again in July 2014. Fishing with harpoons in Lake Huron, Michigan, just off of Drummond Island. No fish were harmed in the production of this photo. One of our canoes used battery powered lights. The other more traditional setup used birch bark torches. 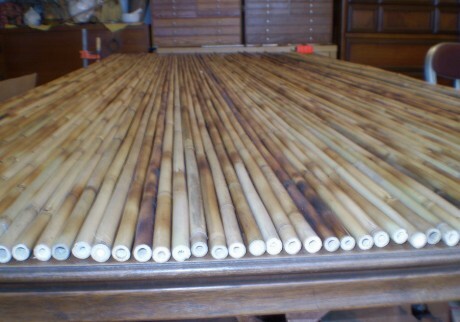 The piece of birch about the torch is a blind to keep the harpooner from being blinded by the light. 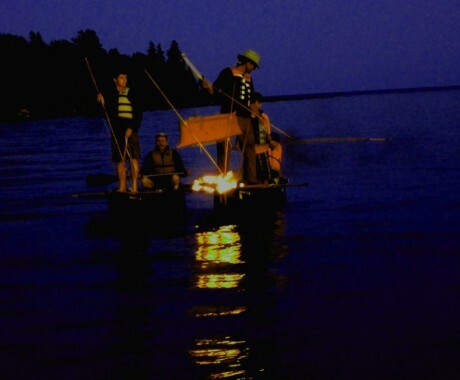 Night Fishing at Drummond Island with birch bark torches at the Great Lakes Traditional Arts Gathering.